Disaster Doctors is on call 24-hours a day, seven days a week, offering water extraction in Draper, Utah and the surrounding areas. Whatever is plaguing your home or commercial property, whether it’s flooding from a storm, an appliance malfunction or a plumbing issue, we’ll see to it that the scope of flood damage is assessed and that proper solutions are put in place to both stem the tide of damage and start you on the path to a cleaner, safer space. When it comes to eliminating water in your Draper home or business, the first priority is removing any standing water with our water cleanup service. Our technicians use high-powered vacuums, drainage techniques and more to alleviate the most pressing issue of standing water first, absolving you of any further destruction. 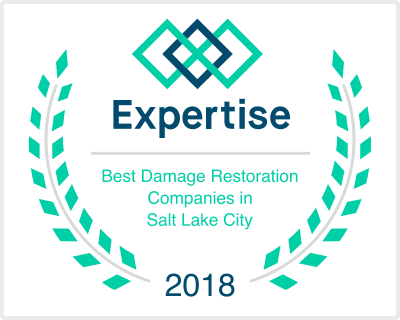 The quickest and best way to deal with the presence of water in your home is to immediately seek water damage restoration in Draper. Water removal specialists have the resources, tools and expertise to not only eliminate standing water and saturated areas, but also to deal with any negative consequences that water can bring with it. In the fall of 1849, Ebenezer Brown brought cattle to graze along the mountain stream of South Willow Creek. The next spring, he brought his family and sold his cattle to immigrants heading to the gold fields of California along what became the Mormon Road. More settlers came in the next few years to the new settlement first known as Sivogah, meaning Willows, the Indian name for the area, then later as South Willow Creek. At the end of 1852, 20 families lived along South Willow Creek. In 1854, the first post office was established with the name Draperville for William Draper III, the first presiding elder of the town’s Mormon congregation. The name of the town in later years was shortened to Draper. Draper is home to attractions such as Loveland Living Planet Aquarium. We provide water damage Draper UT services to 84020.